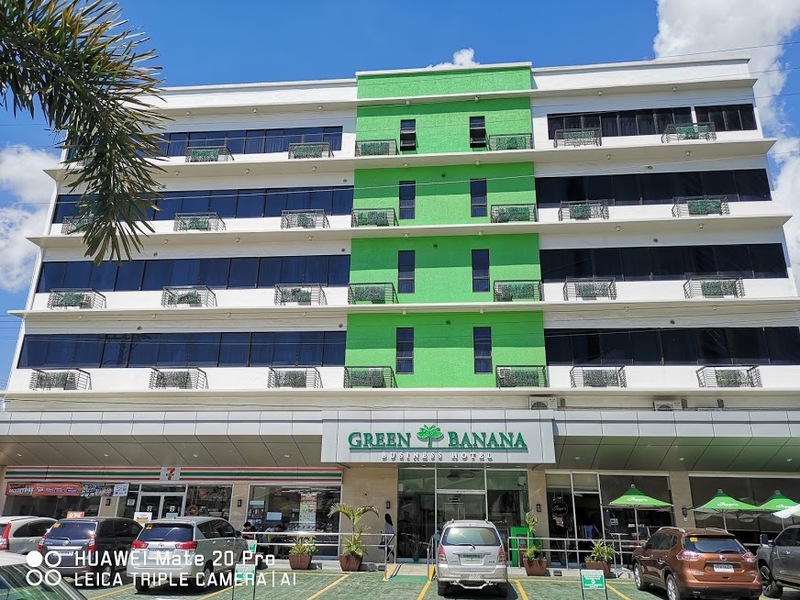 Just like the previous Huawei smartphones that I have unboxed and reviewed on this blog, this Huawei Mate 20 Pro here in Emerald Green was also lent to us by none other than Tekpone, one of the biggest and most popular smartphone and accessory stores here in Davao City. They let us borrow this unit for a couple of days to try it out so I can personally share with you my impressions of this smartphone. I had this phone for two days only, I know, that is not enough especially for a beast of a flagship smartphone like this to be tested and enjoyed. It has a lot of things to love about, tons of cool and amazing features to explore and experience for a couple days. 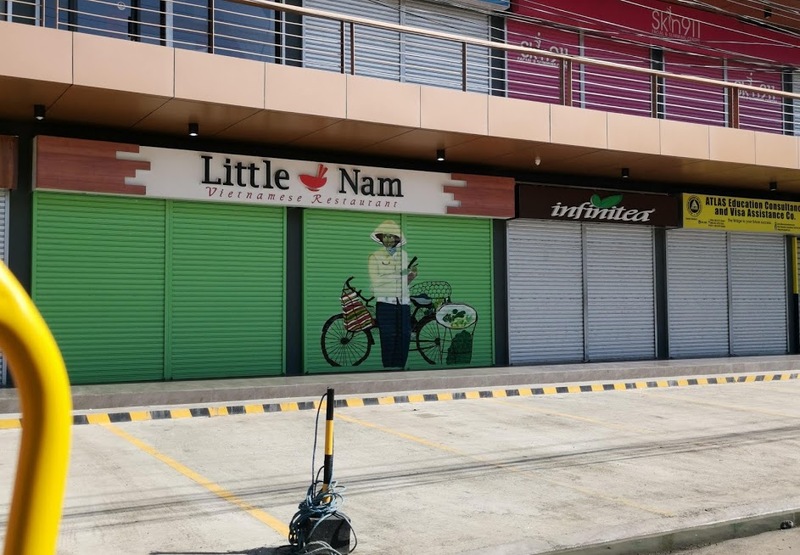 But I realized, two days was actually more than enough, at least for me, to know if I am going to like and need this device or not, which is of course the same thing for you. 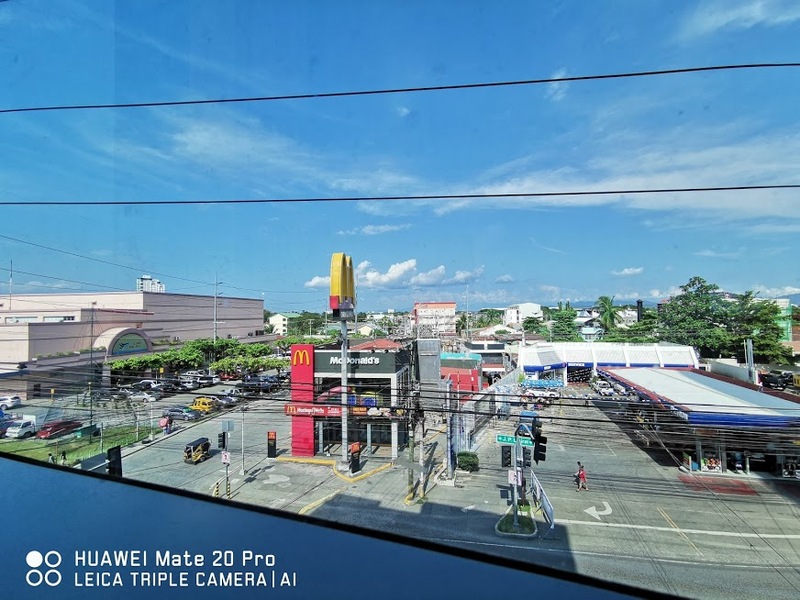 If you think this smartphone is interesting and may be the best one for your lifestyle and budget, my ultimate suggestion for you is head to any Huawei store near you that offers a hands-on experience for this phone and personally try it yourself. Experiencing this device first hand, even for a short period of time as opposed to reading and watching great reviews about online it is way way more awesome and convincing if the phone is for you or not. 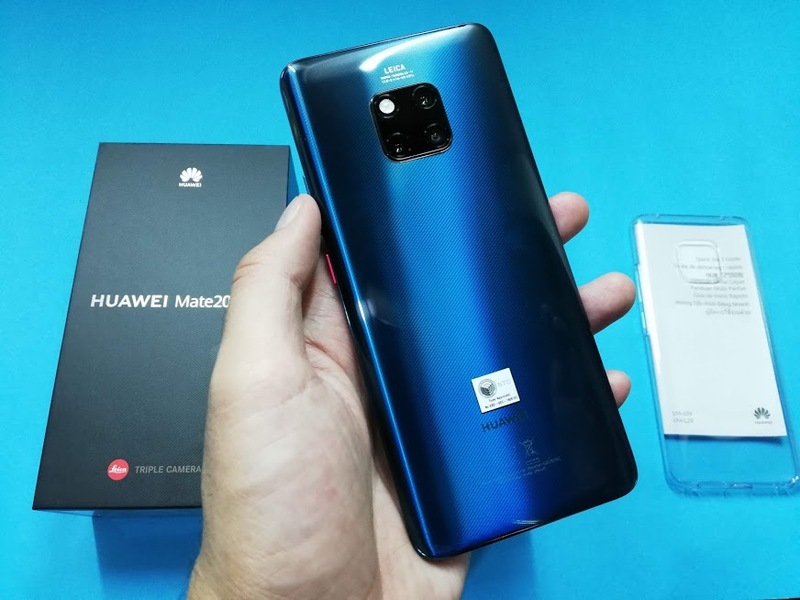 So until you have the time to personally check this latest phone offering from Huawei youself, here is my unboxing and initial hands-on review of the Huawei Mate 20 Pro, in delicious Emerald Green colorway. 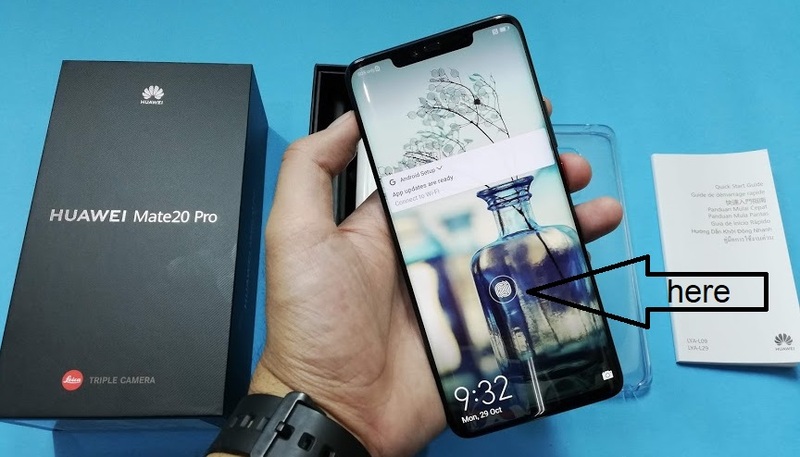 This is the official retail boxing of the Hauwei Mate 20 Pro, the same goes with the standard Mate 20 variant. The design and branding execution as well as the box's color remain the same since the release of Mate 9 a couple of years back, except that it is much narrower now and a bit thicker. Here is a quick glance of what's inside the box. 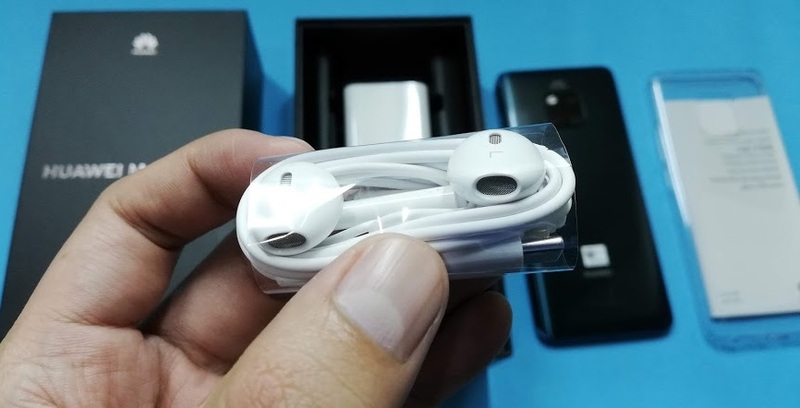 Thankfully we still have all the usual accessories in the packaging because you know some flagships don't even come with their own pair of earphones anymore whether they do or don't have 3.5mm audiojack. 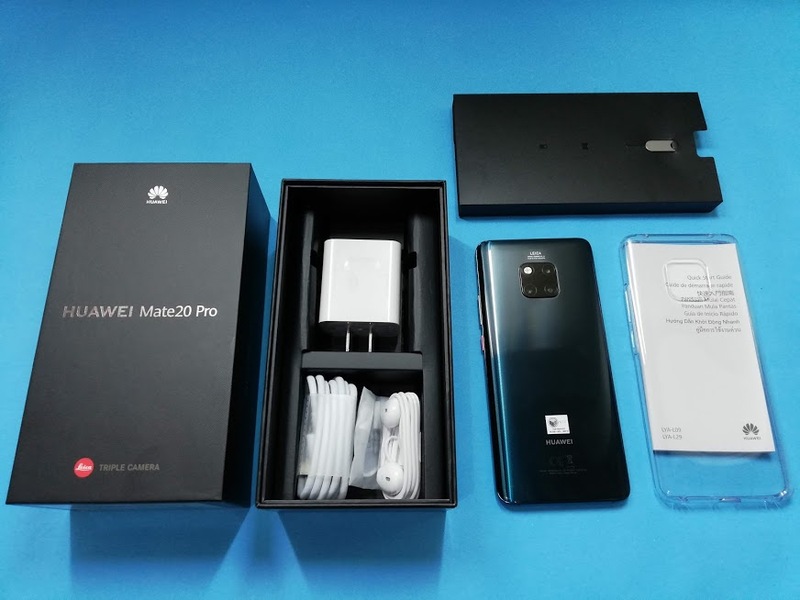 But with the Mate 20 Pro, we do still have them, it even comes with a tiny dongle which you will later find out its use if you continue reading. 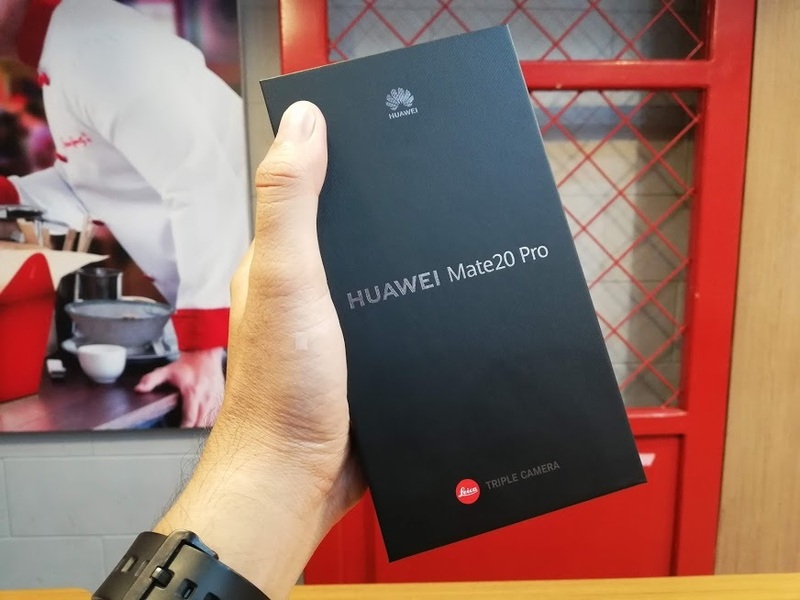 Lifting the outer box will reveal you the Huawei Mate 20 Pro itself. All nice and shiny. Underneath it is another box compartment where the User Guide, Warranty Documentations, SIM Ejector Tool, and the clear soft silicon case are packed in altogether. 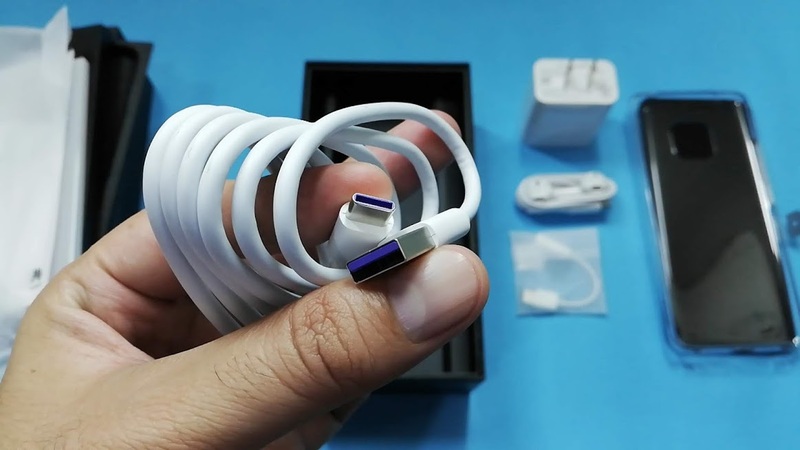 Then after that little box on the inside, are the charger, cable, earphones, and adapter accessories - all in white color. The pair of earphones are all white and shiny as well and sport a look that is very familiar, except on the tail end of it. Instead of a typical 3.5mm audiojack, it has a USB Type-C that is attached to the USB Type-C port on the Mate 20 Pro. Why is that? You may ask. That is because, first, the phone does not sport 3.5mm audioport anymore, second, the device does not have speaker grille, and third, the audio now comes out of that USB-C port as it now doubles as the speaker and audioport. 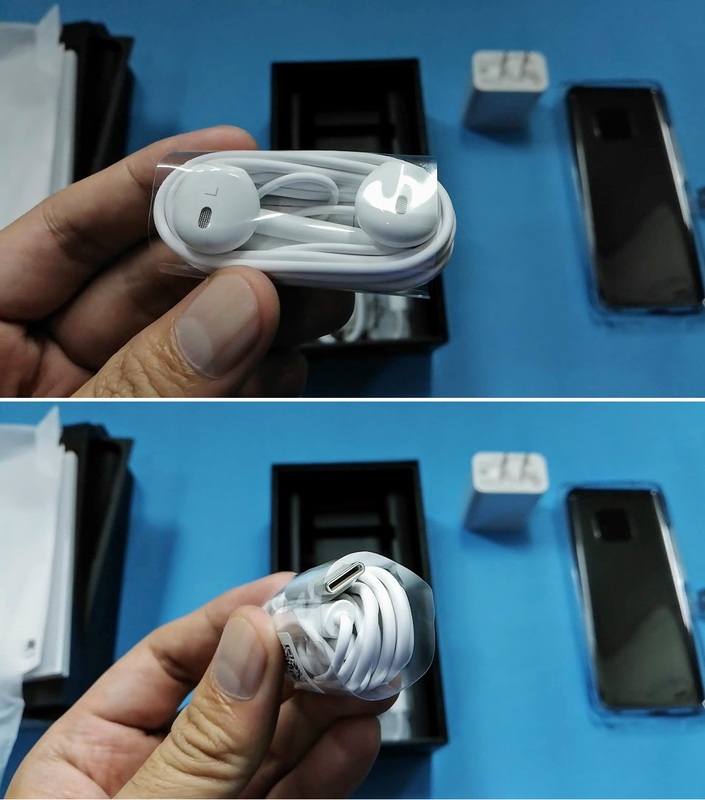 So it is either you use this default earphones and attach the end of it to that USB-C port of the phone for music and audio listening or just don't listen hands-free. 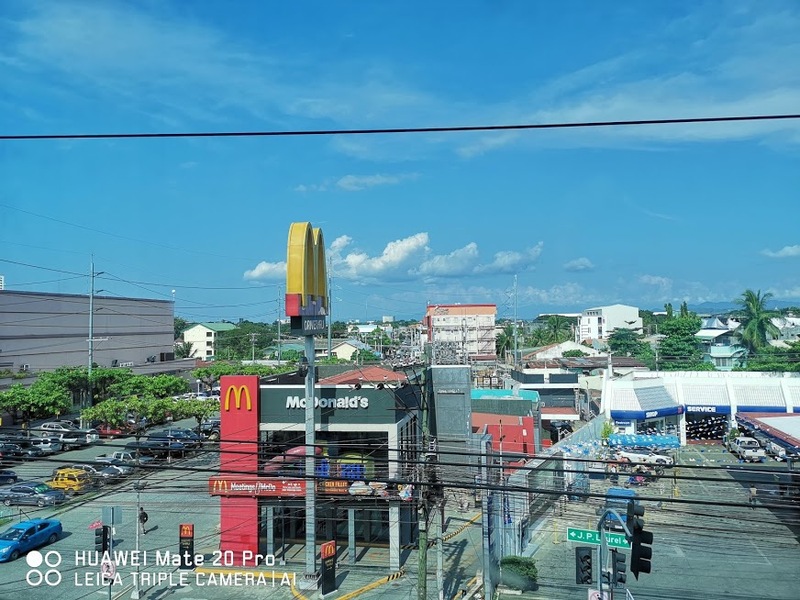 Now what if you have other regular earphones or headphones that you prefer using, are they out of the picture now with the Mate 20 Pro? The answer is, no. That's where the other dongle adapter comes in the scene. 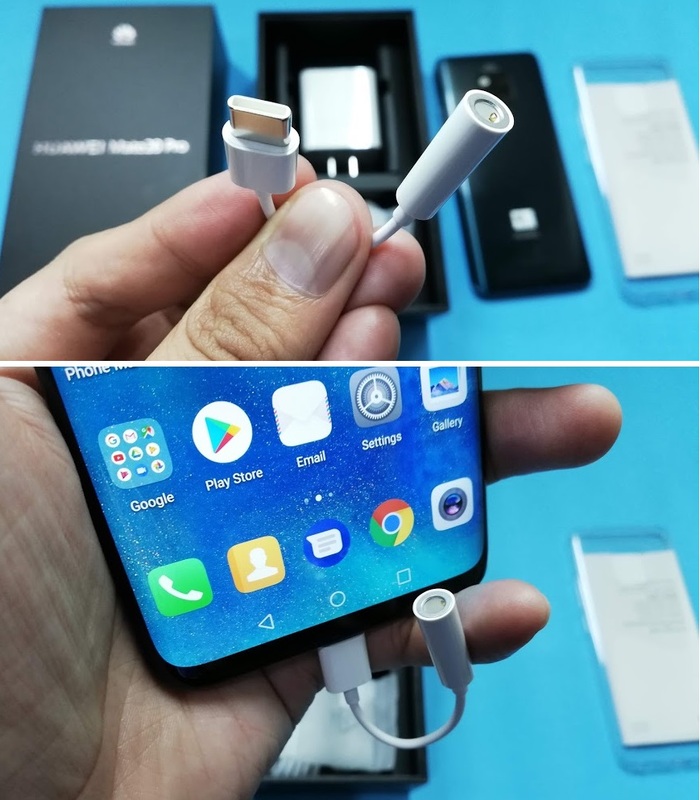 The charger is also one of the most exciting features of this Huawei Mate 20 Pro smartphone. It is packed with 40W SuperCharge technology. And even if the phone is equipped with a massive 4200mAh battery pack, I got to tell you, it's really really fast. This is the very first time I got very impressed with a smartphone's charging capability. 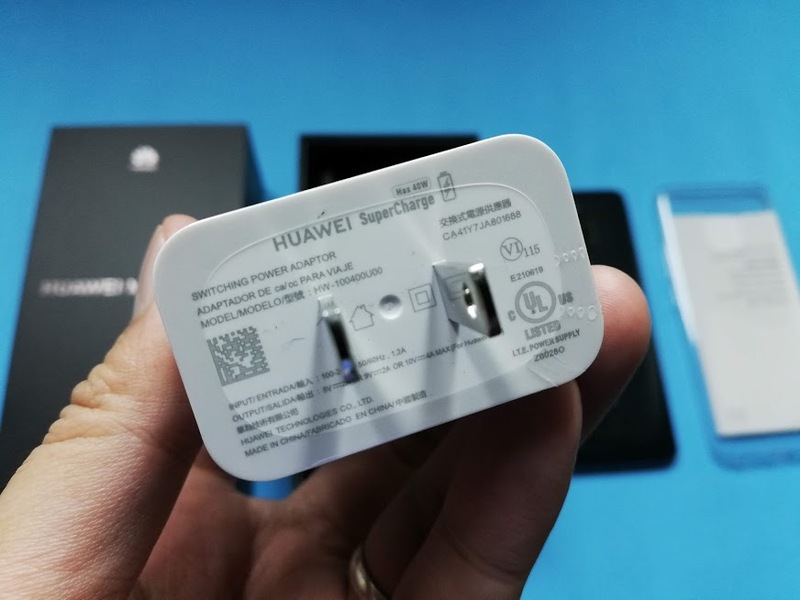 On paper, Huawei claims it can charge up to 70% in just 30 minutes time. And I am happy to confirm that it does really deliver that promise. 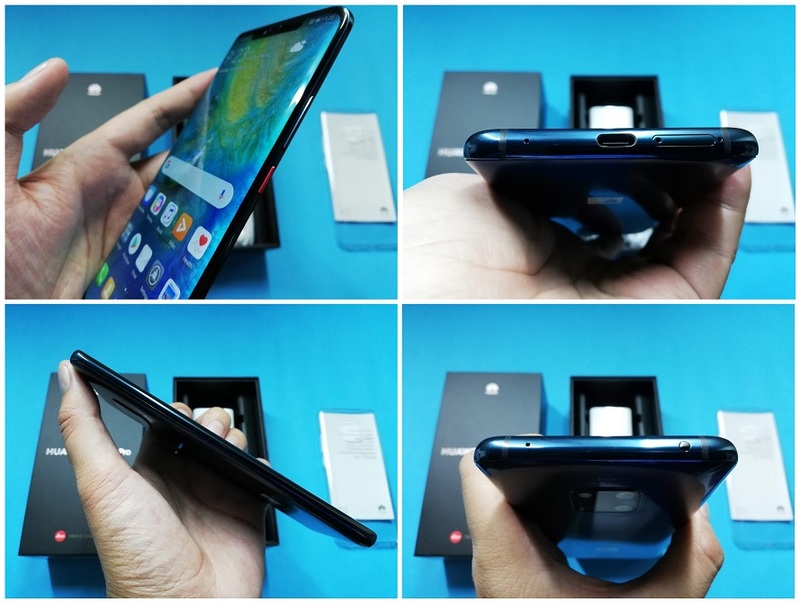 While the Huawei Mate 20 Pro is a beast on the inside, on the outside it's probably the most gorgeous phone around, most especially on how Huawei designed its back panel. 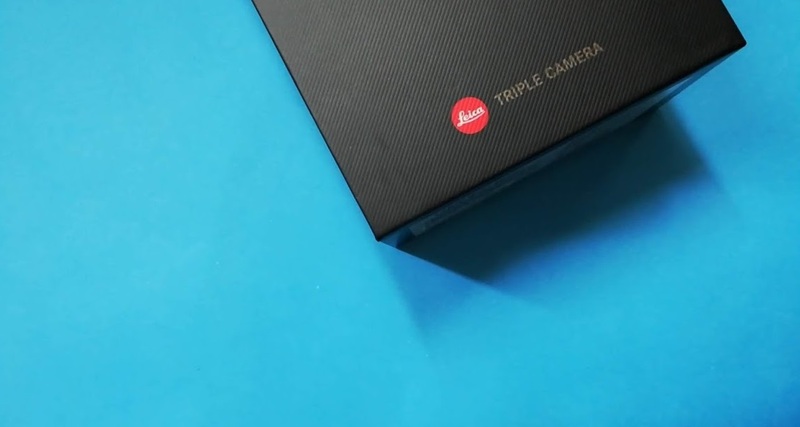 From the color selection and how its shade transitions based on where the light is coming from, down to its glass material and unique textured pattern design, and of course the triple Leica camera and flash arrangement, it's just iconic. Not only the back panel on this Mate 20 Pro in emerald green is a real stunner, it also sports a first in a smartphone feature - that's the reverse wireless charging technology. And that works exactly how it sounds. 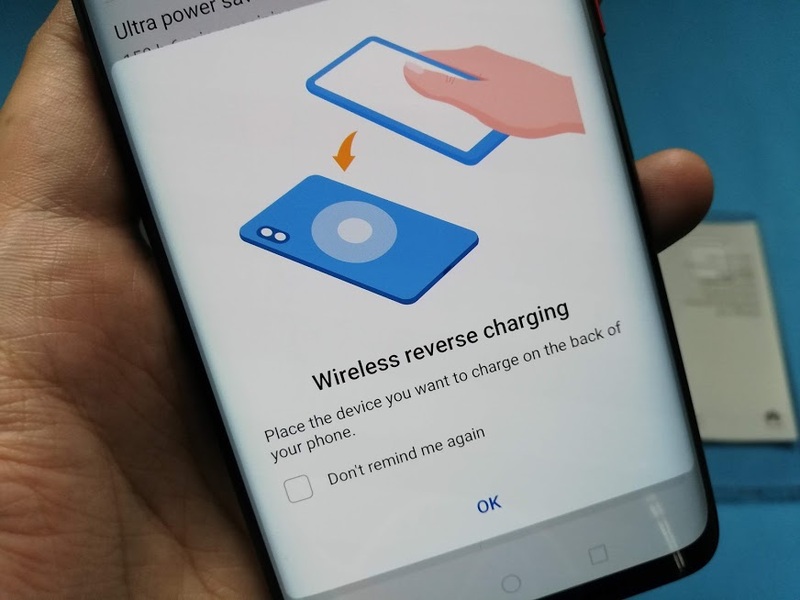 First all you have to do is activate the Wireless Reverse Charging feature through the battery settings, and then simply place the other phone's back panel on the Mate 20 Pro's rear and you are good to go. 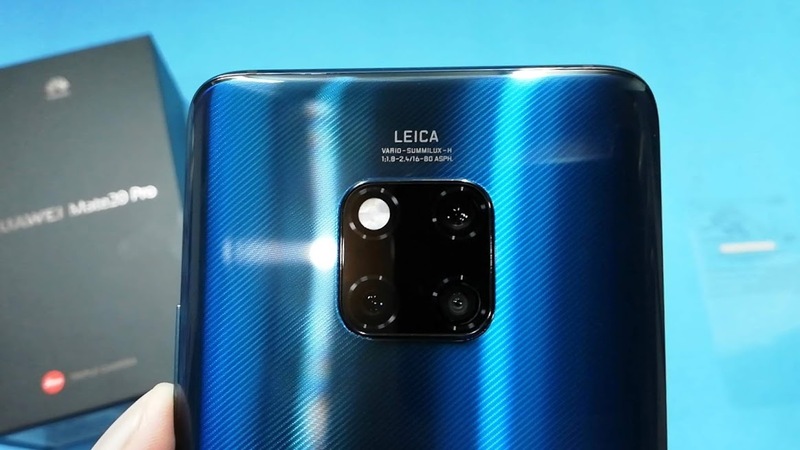 Now when it comes to the buttons and ports, Huawei Mate 20 Pro still has most of them. As you can see in the upper left image above, the volume rocker is found on the right side together with the power/lock key which is accented with red/orange color, that's a nice little touch right there. Right below that image, on the left side of the device, it does not have anything in there. Now on the upper right image, there we can see the mic, the USB Type-C port right in the middle that again doubles as a speaker and an audioport. And then next to it is the dual-SIM tray where the second slot can be used for storage size expansion. The device has 128GB of native storage, and users can add some more through the second SIM slot, but instead of using the traditional microSD card for doing so, you have to use a new proprietary memory card from Huawei which they call a "Nano Memory Card" or NM Card which has the same shape and size as a nano SIM card. But Huawei has yet to reveal more details about this new storage card option. And then in the final image above, it shows the top part of the device where we can find the secondary noise-cancelling mic, an IR Blaster for users to be able to use it as a remote control, and then there's a couple of antenna lines. 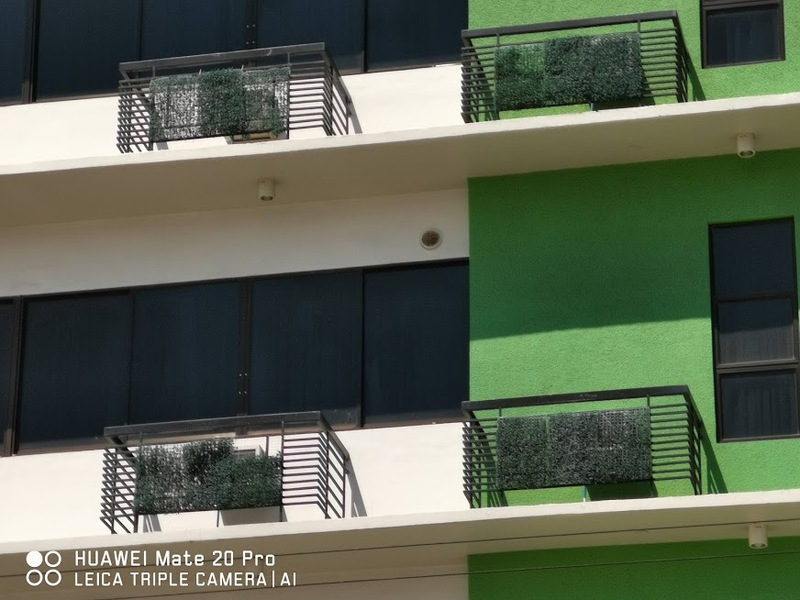 On the front side of the Mate 20 Pro is where most of the actions are going to take place. That being said, Huawei made sure that it will also be one of the best parts of the device. Upfront, it has a huge 6.4-inch AMOLED display with up to QHD+ resolution or 3120 x 1440. I said "up to" because there is an option in the settings to switch it down to Full HD+ or HD+ configurations or let the Master AI automatically do it for you to save battery life. And while the Full HD+ and AMOLED display is already great on this one, the QHD+ will provide us an even greater viewing experience. If you have not noticed it yet already, the edge of its display is curved. 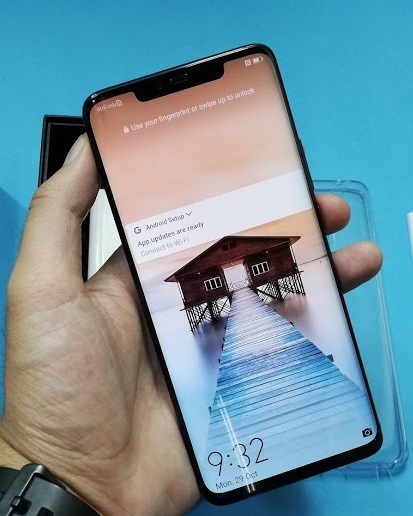 It's not a Huawei original design though, like the notch on this one which you can hide through the settings by the way, but the company did so nicely that it gives a wrap-around-display kind of vibe to it. This is definitely one of those designs that made me fall in love with this device right after immediately noticing it, it's like one of those easily-noticed design languages that reminds me how premium and beautiful this phone is all the time I am using it. And before I completely forget, this Mate 20 Pro runs on the latest Android 9 Pie with EMUI 9.0 software right out of the box, and that's just so nice. We do not need to wait for the update before we can enjoy the latest flavor of Android platform. It is readily available the moment we boot up the device. During the phone's short time with me, I never experienced any lags or stutter despite having multiple apps running in the background and switching between them from time to time. Everything was just smooth and fast in terms of operations and interface performance, thanks to its super powerful and first 7nm HiSilicon Kirin 980 processor that is paired with Mali-G76 MP10 GPU and 8GB of RAM. Yes you absolutely read that right, the Huawei Mate 20 Pro has its fingerprint reader embedded right underneath its display. Some say that it is one of the fastest in-display fingerprint scanner around, but comparing it with a traditional print reader, it's still quite slow. And while I always find it working most of the time, there are a few times where it fails to recognize my registered fingerprint simply because I was not putting enough pressure to its location. So yes, in order for it to work, you would need to add a little more extra force onto the screen than you would on a regular scanner, and sometimes that can be a little annoying. Yes, the in-display reader is quite fast among the same tech found on other smartphones, I guess, but still a bit slow compared to what I am used to which is a traditional scanner. Good thing though, there are still other options like the 3D facial scanning tech to unlock the phone and the usual passcode-based unlocking mechanism. Now let's talk about the camera. For starters, it has three camera setup on its back with Leica optics as you can see in the image above and they are as follows. 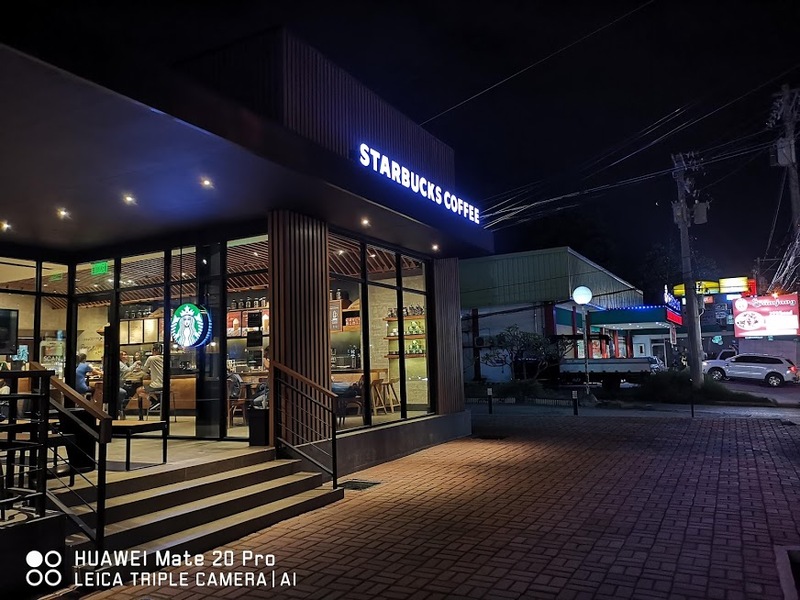 As expected and through the help of the Master AI embedded everywhere the Huawei Mate 20 Pro, the photos and videos come out great in details and color reproduction. See below some of the unedited shots I was able to take despite its very limited time with me. 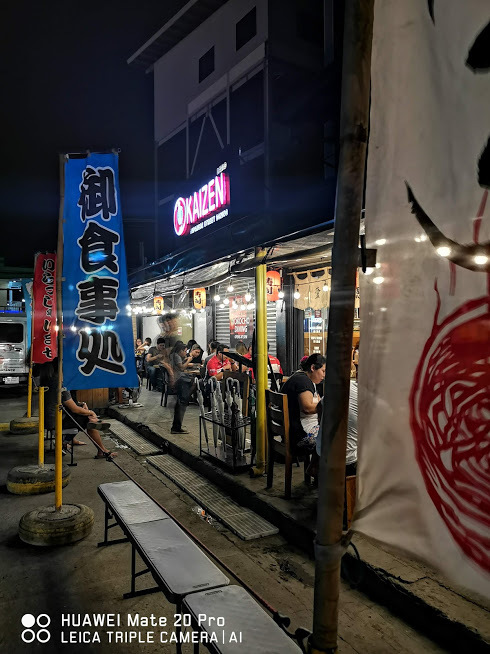 When the Master AI is activated in the camera settings, you will notice that the lenses will always try to recognize the scene or subject you are tying to take photos of and then apply what it thinks the best color mix to the photo. 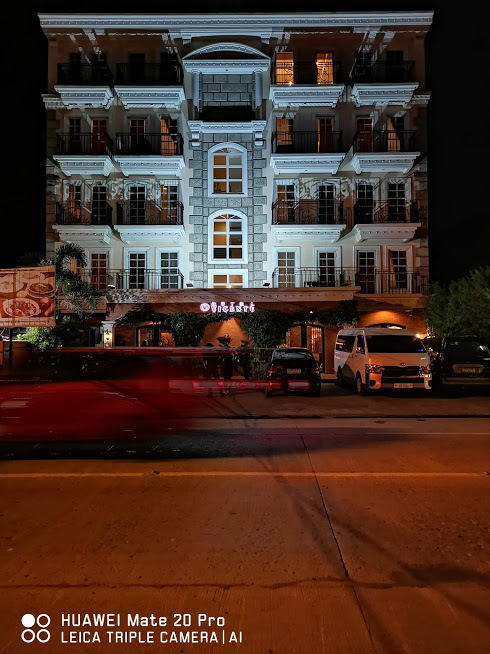 And while a couple of times the photos appear to be overprocessed, most of the time I liked how photos and videos were recreated after the shots are taken. The colors were just within my liking thus requiring me much lesser time do edits before sharing to my social media accounts. 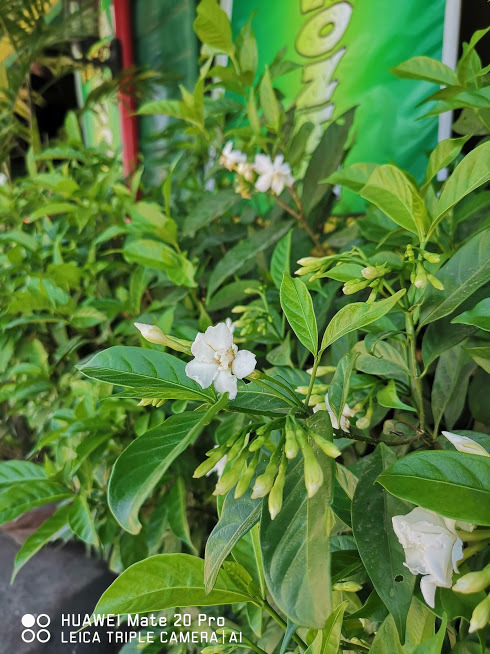 Below I recorded a very short video clip using the Huawei Mate 20 Pro's rear camera testing its video quality at least in 1080p format and its stabilization feature. So far, the audio and video quality look great as well as the stabilization system. 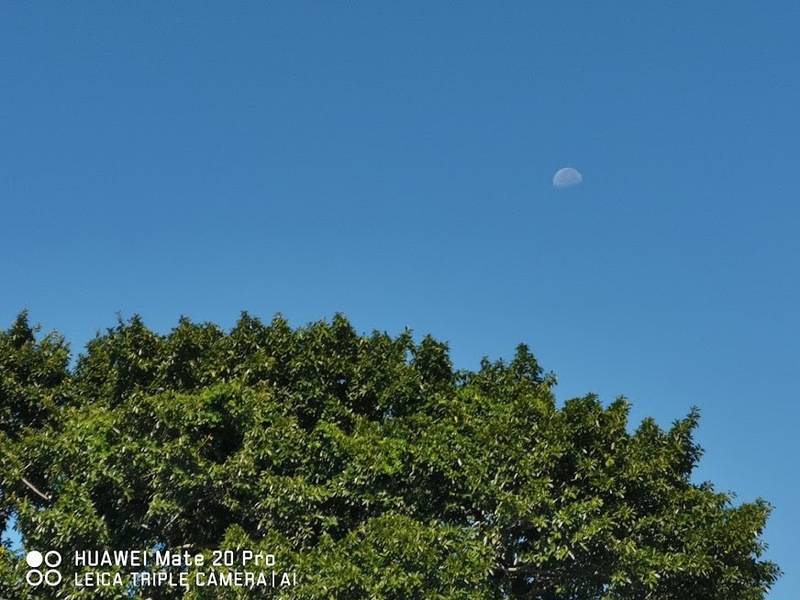 Like in the previous iterations of the P and Mate series of Huawei flagships, the camera department on the Mate 20 Pro is packed with tons and tons of everything camera features, settings, and functionalities that a casual and professional photographers will definitely appreciate and enjoy. Overall, the Huawei Mate 20 Pro is a fantastic Android smartphone. It is definitely one of the best smartphones around both in terms of specs, design, and overall performance. 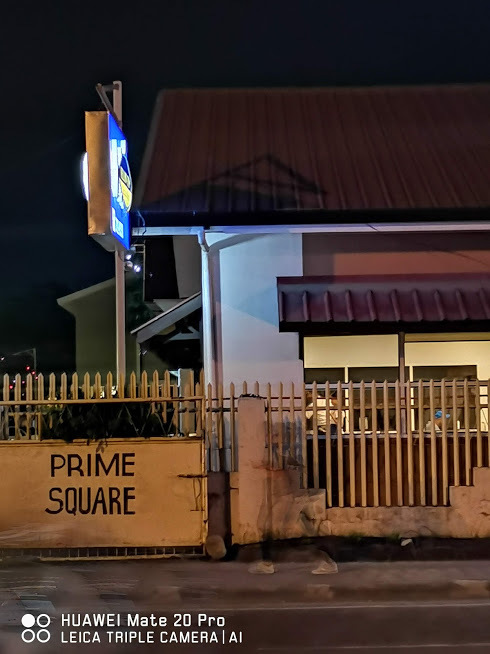 It may bear a Php49,995 sticker price, but if we consider all of its capabilities, what it can deliver, its aesthetics, the values it will be able to add to our lifestyle versus other flagship smartphones from competitors, I would really like to say this is the most bang-for-our-buck option among these flagships. 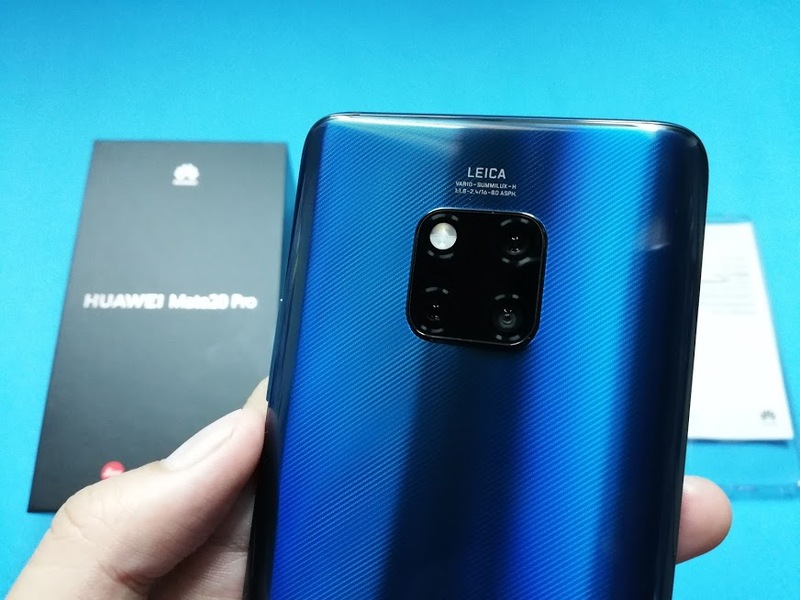 The Huawei Mate 20 Pro is still in pre-order phase across the country as of posting. 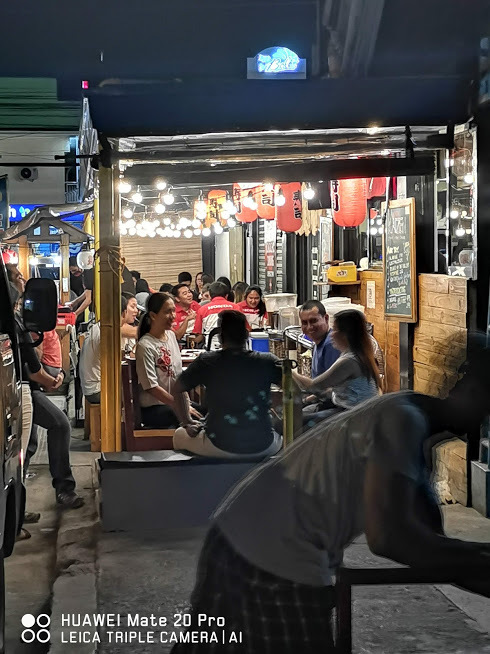 It comes with freebies worth thousands of pesos for users who will place their early orders until Nov 2. 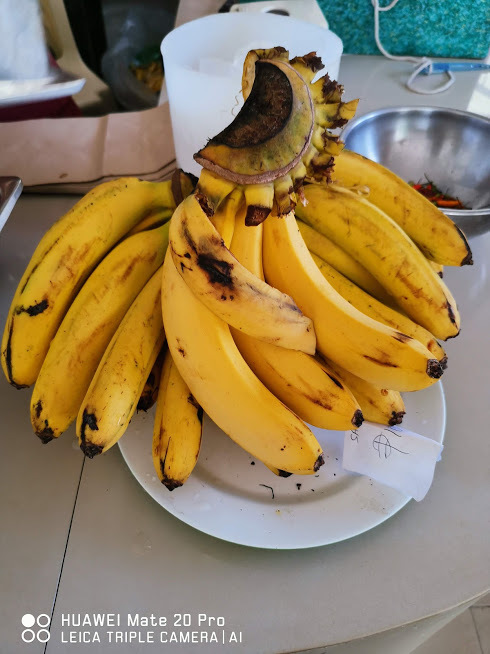 In Davao City, you can get yours from Tekpone and they have stores at Abreeza and Gaisano Mall of Davao. 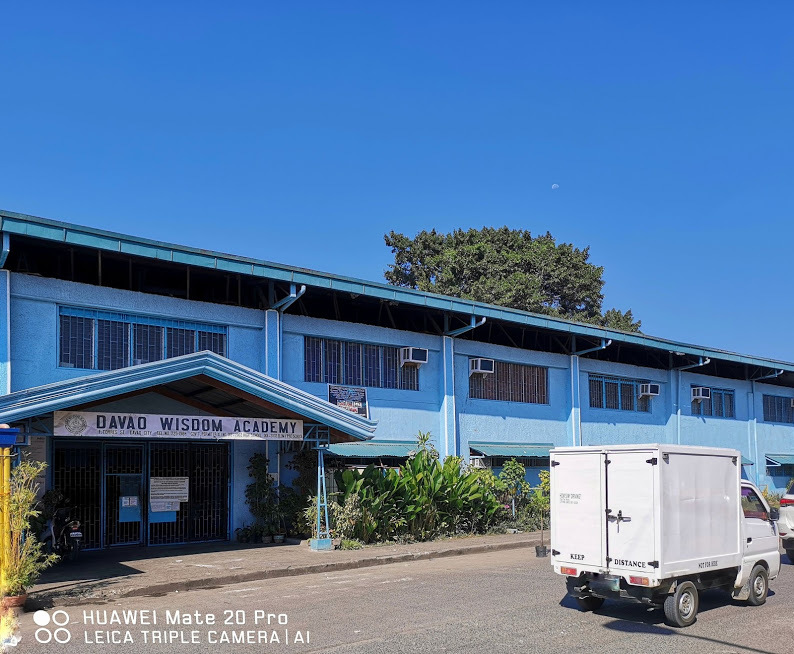 You may also visit the Huawei Experience Stores at SM Lanang or at Gaisano Mall as well.